Based on all of the data collected by TFRRS.org from this past weekend’s college track & field contests from all levels (NCAA, NAIA, NJCAA, etc. 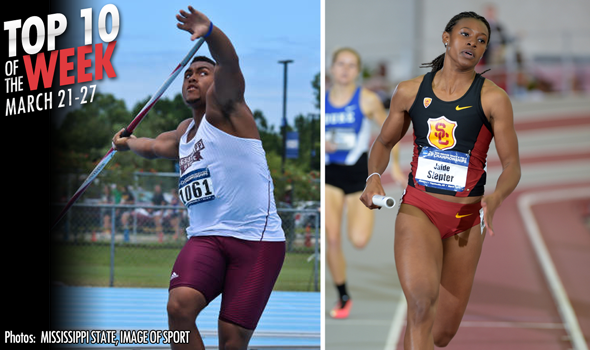 ), the following lists represent the top wind-legal performances by collegians in each event over the course of the past week. All wind-legal marks were counted: all rounds of running events, and each attempt in field event series.